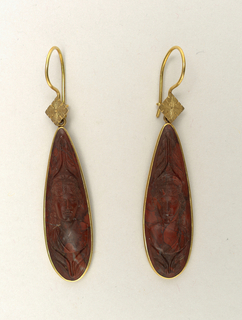 See more objects with the tag enamel, personal adornment, diamonds, jewelry, intricate, earrings, transgressive, jade. 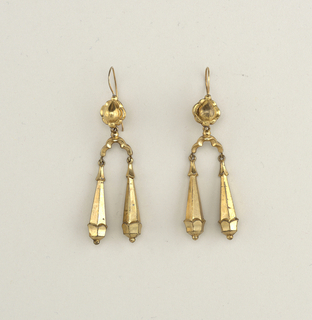 This is a Earrings. 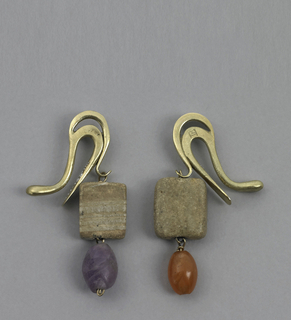 It was designed by Delfina Delettrez. It is dated 2012. Its medium is diamonds, white marble, black onyx, madrepore stone. 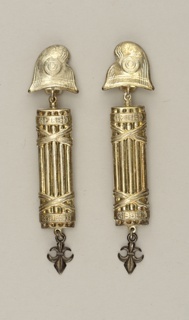 This pair of earrings exemplifies Delettrez’s humorous and unnerving interest in depicting human anatomy. Elongated black onyx and diamond teardrops dangle from white marble “fingers.” The fingernails are formed by a small cluster of diamonds on one nail and fiery madrepore stone on the other. Delettrez is a fourth-generation member of the Fendi family, whose work takes inspiration from surrealism.